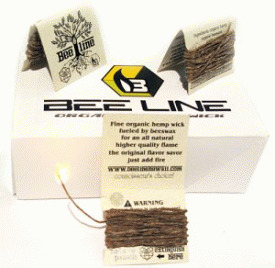 Bee Line is an organic hemp string dipped in organic beeswax. It is used as an all-natural alternative to light fine cigars, cigarettes, medicinal herbs and pipes. It doesn't alter the taste of your smoking experience and prevents the inhalation of toxic butane gas from a lighter.